This mat works perfectly as a "stand alone" mat to let you fight amphibious assaults from modern day, to World War Two, to ancients! Storm the beaches at Normandy...or see how Caesar's legions fare landing on the shore of Britain. The choice is yours and the options are only limited by your imagination! Just add your figures, ships, buildings and terrain and you are ready to game! This mat will work well with just about any scale. 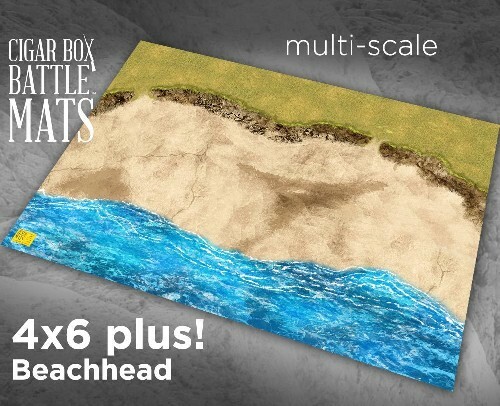 The real beauty of this mat however, is that it connects to our grassland mat and ocean mat in order to form a massive playing surface for all of your amphibious assault scenarios!